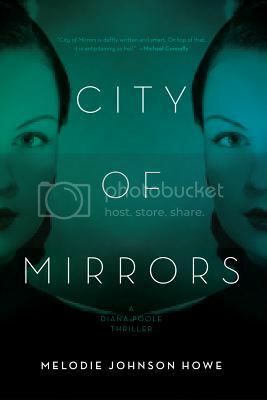 City of Mirrors is a thriller written by Melodie Johnson Howe. I don't read thriller novels much these days. Not because i don't like this genre but because I am picky and have not found many thrillers that catches my interest. I am so happy I read this one. It is a easy read that I very much enjoyed from beginning to end. This book is well written . If you are a fan of Melodie Johnson Howe's writing or love thrillers similar to this one you might enjoy this one. If you want to purchase this book you can do so online or in bookstores near you on August 1st 2013.